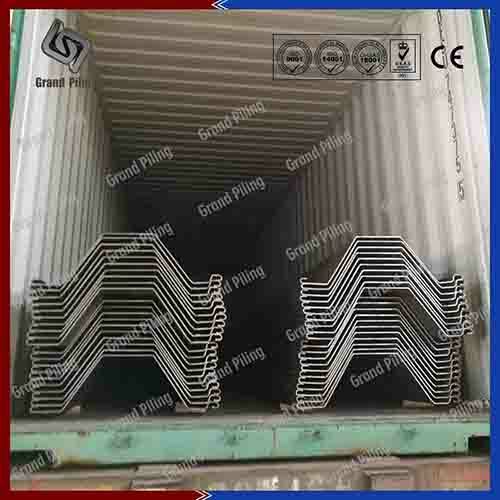 The Omega type sheet pile has a hat shape cross sections with relatively thin but larger sectional areas. This allows efficient implementation of pile driving work, which can secure higher structural reliability and more economically. The interlocks are at the outermost part of L/S type sheet pile, the neutral axis of each pile is same with the whole sheet piling wall. This means that the L/S type sheet pile can display its structural performances in different ground conditions. 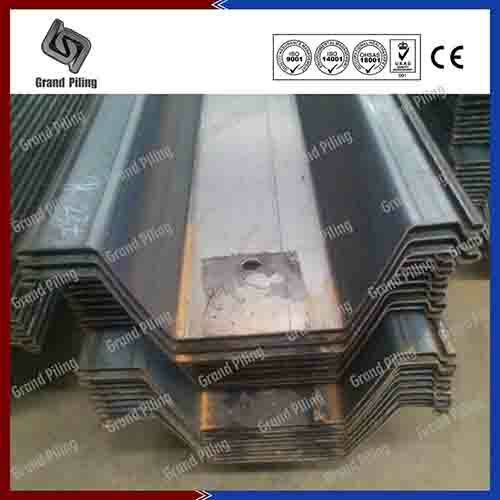 Sometimes, China sheet piles can be handled and installed with small hammer or rig or driver. The pan type sheet pile is a structural steel product that incorporate the sheet piling manufacturing technology and application technology relating to construction works. Omega type sheet pile have several other names in different markets, like pan type sheet pile in US market, hat type sheet pile for Japan and Korea, L type sheet pile, S type sheet pile for Europe sheet piles. 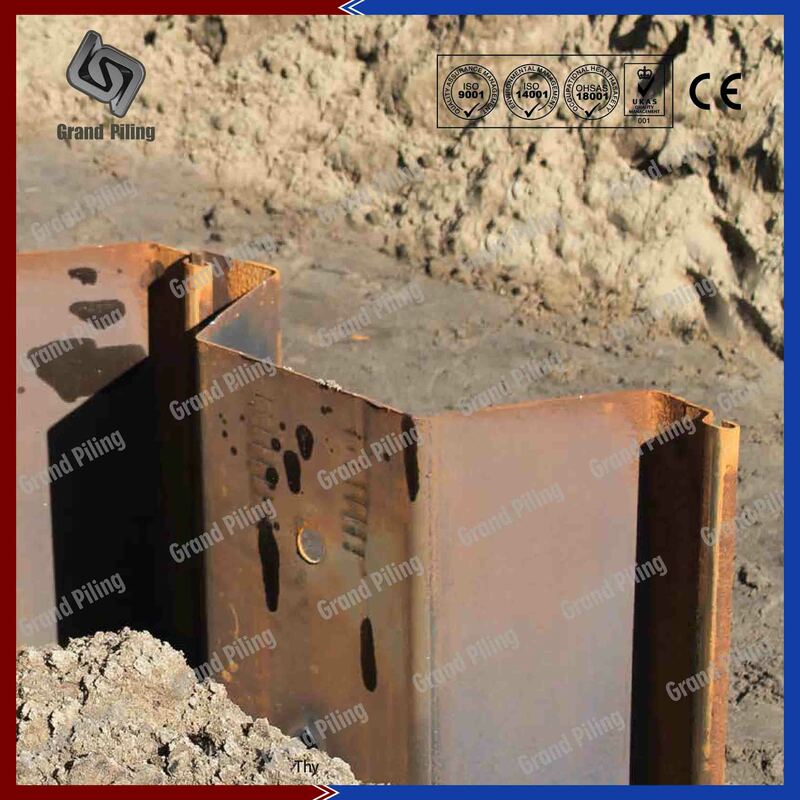 Omega type sheet piles are mostly used in China and Asia, invented by Oriental sheet pile. All pan type sheet piles are light gauge sheet piling, with smaller properties than other dimensions and specifications. The hat type sheet piles are intended for short and light loaded walls, like drainage ditches, retaining walls for private home, and gold courses. 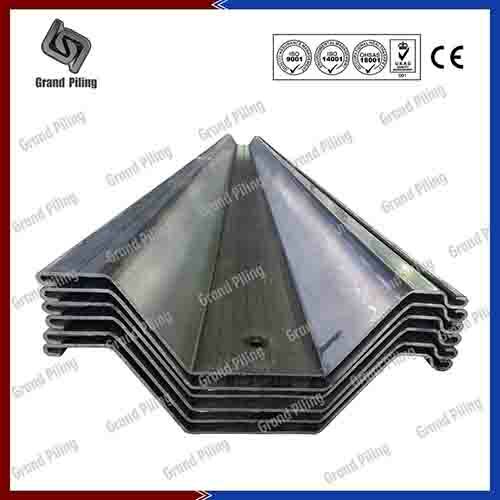 The Omega type sheet pile has a hat shape cross sections with relatively thin but larger sectional areas. This allows efficient implementation of pile driving work, which can secure higher structural reliability and more economically. China sheet pile is more rigid than U or Z sections, sheet piling contractors can control the pile deformation more easily. As a result, hat sections can be driven in a very long length. The interlocks are at the outermost part of L/S type sheet pile, the neutral axis of each pile is same with the whole sheet piling wall. This means that the L/S type sheet pile can display its structural performances in different ground conditions. 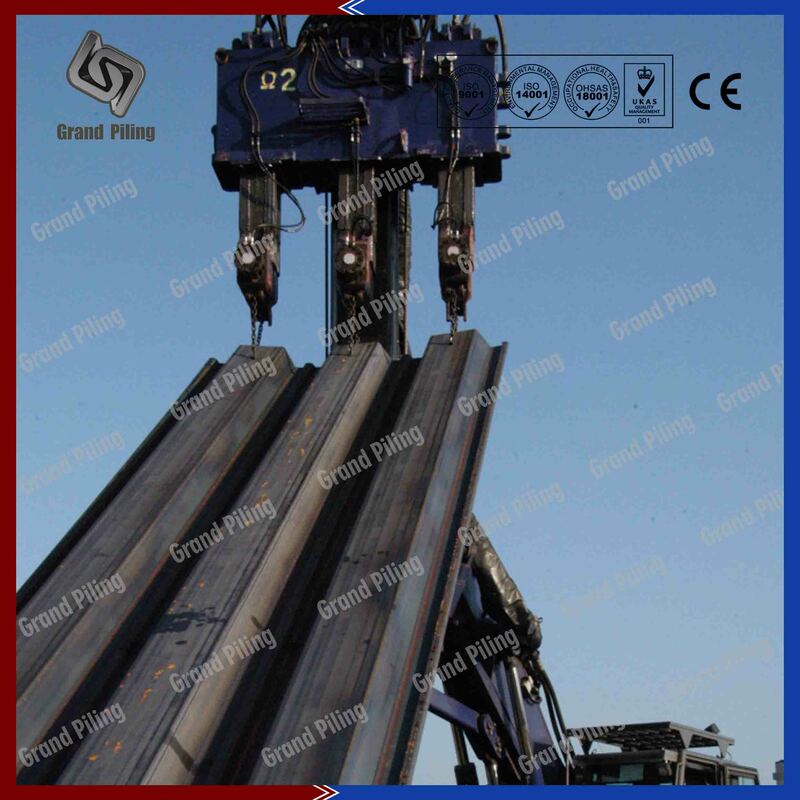 Sometimes, China sheet piles can be handled and installed with small hammer or rig or driver. The pan type sheet pile is a structural steel product that incorporate the sheet piling manufacturing technology and application technology relating to construction works. Hat type sheet piling will help to cut down the sheet piling costs and sheet piling prices. 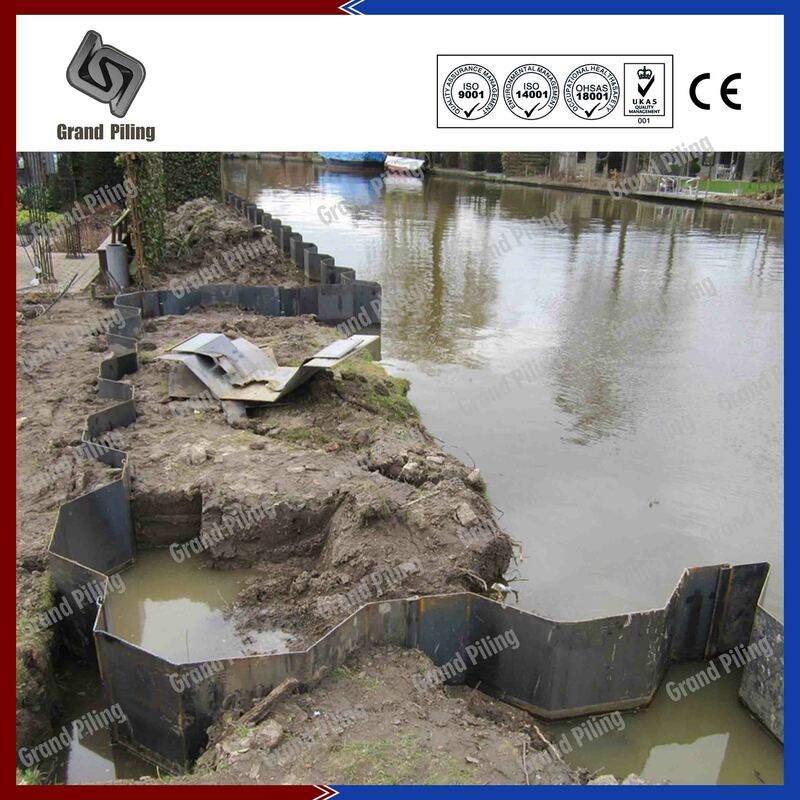 Ø L type or S type sheet pile, or omega sheet piles mostly are used for river bank protection, where the space is small. 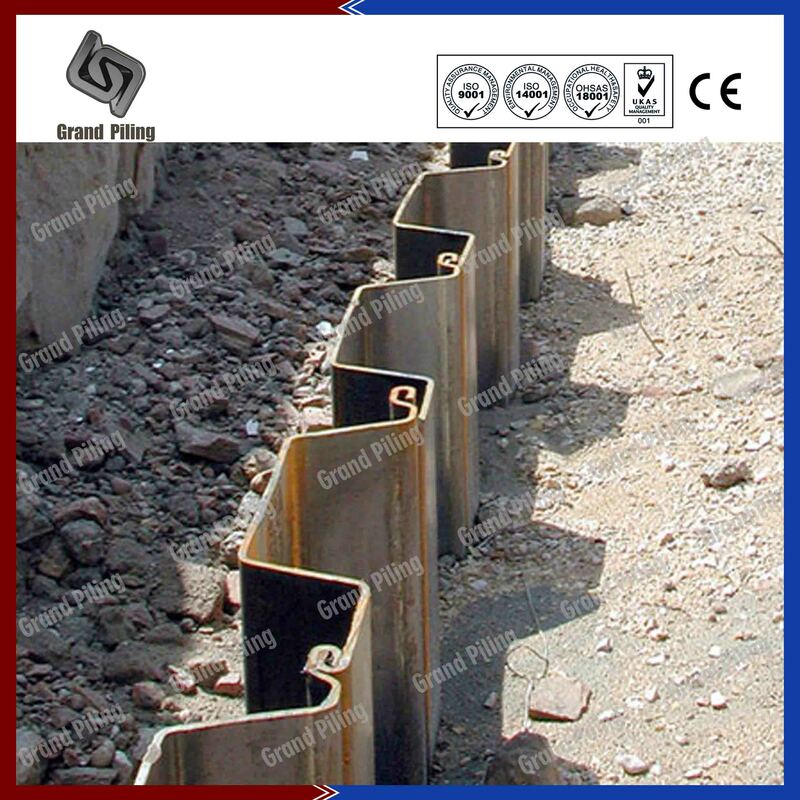 or can also be used as deadman wall or anchored wall to hold bank the main sheet piling wall. 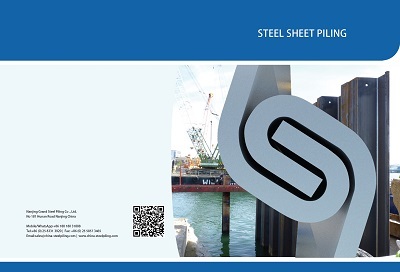 China sheet piles can produce various specifications. 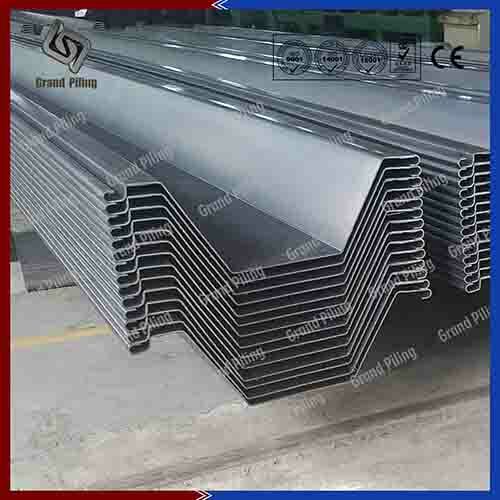 Ø Omega type steel sheet pile has bigger width, and smaller thickness, so very light, and very popular in Western European market. Sheet pile supplier in China continue this tradition. Ø Our sheet pile machines can be adjusted to fulfill all your project requirements,like sheet pile strutting, sheet pile dewatering. Ø We can provide suggestions on sheet pile hammers, sheet pile machine, sheet pile driver, sheet pile rig etc. relative sheet piling accessories and products.And we are very familiar with sheet pile construction. Note: This table is only part of our sizes.We have over 1000 different sizes. We can adjust our machine to produce in any width, Height and thickness. Please contact us if your size is not in above table.